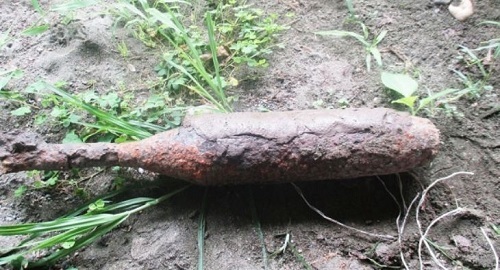 East Honiara, Solomon Islands EOD from the Royal Solomon Islands Police Force safely removed a UXO discovered by children at the Panatina Creek in East Honiara. The munition was identified as US 81mm M57 WP Mortar. The ordnance was located only feet from the home of the resident who reported the find. It has been transported to Hells Point for destruction at a later date.